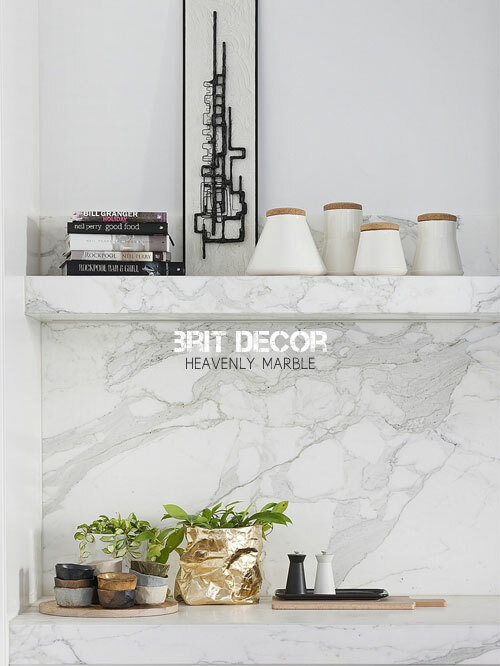 Let's face it, Marble has rarely been out of fashion in some shape or form over the centuries but once again, and deservedly so, this timeless material is once again making the style headlines. Due to its enduring appeal, this expensive, essentially metamorphic rock, is what I would term as an investment material, at least in its solid and somewhat decadent form. 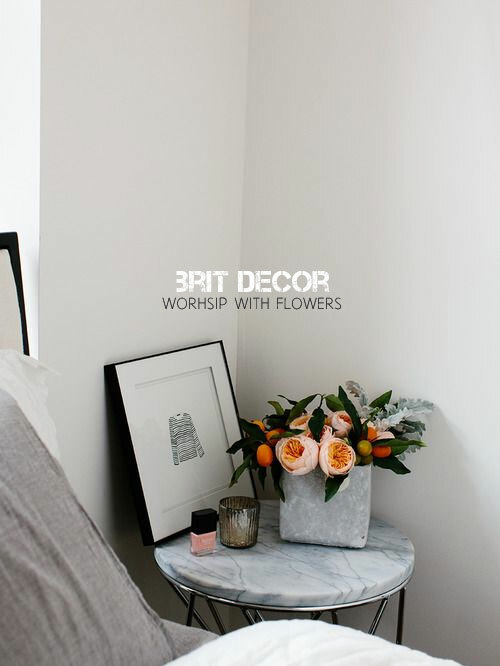 Often found in historic and beautiful religious buildings, this is also a material with a slightly divine quality, so definitely one to worship in the home don't you think? 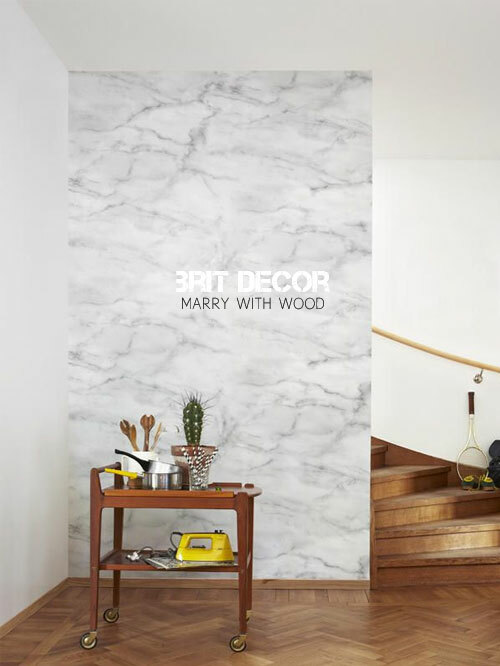 As with any current trends, it pays to think outside of the box and look at the growing number of creative alternatives to the real thing such as Mr Perswall's marble wallpaper (image 3 'above' and no.3 'below'), which looks so realistic, it borders on the truly illusionary! To really compliment the marble paper and create your very own homage to this heavenly material, why not pair the wallpaper with a print like this striking Dune print from Etsy (no.5 below) - quite frankly I am crazy about it! There is also an exciting array of textiles printed in a marble-effect and these create a much softer and tactile contrast to the cool glossy feel of real marble - try Ferm Living's Fusion triangle cushion (no.4 'below') a means of incorporating this monochromatic pattern into your seating area. 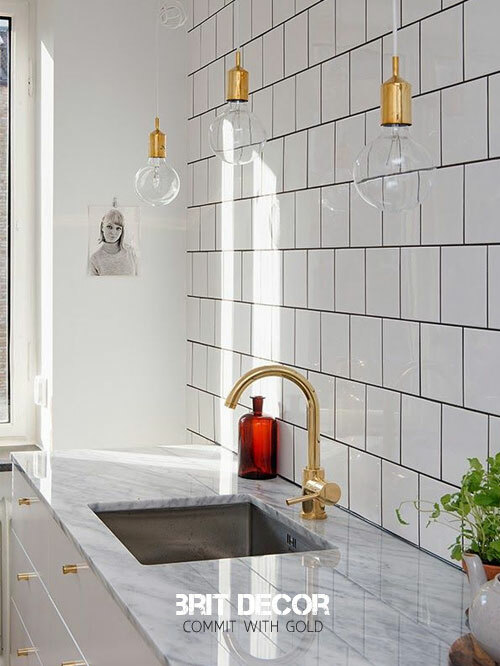 Of course, if an entire solid marble floor is too cold for your liking, or kitchen worktops are a budget stretch too far, there is the option to accessorise in this material. 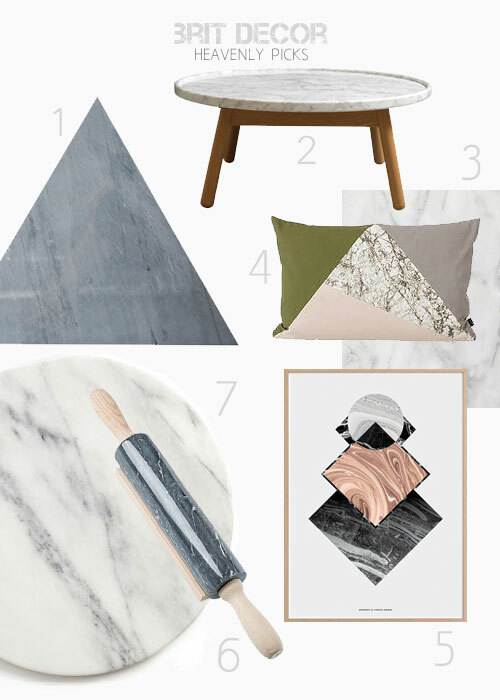 I found a small but unsurprisingly stylish and simple selection at The Conran Shop, with this stunning triangular trivet in grey marble (no.1 'below') and the grey rolling pin (no.6) both are bound to become future classics. My budget find has to be this marble cheeseboard from BHS for just £10 (no.7), which shows that beauty doesn't have to come at a high price!